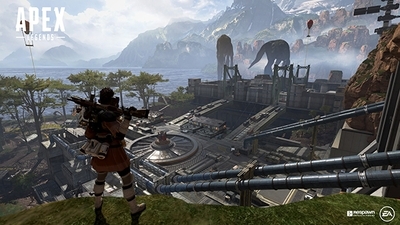 Apex Legends is a battle royale game where legendary competitors battle for glory. Players are grouped into teams of three, with each member choosing a different Legend. At the beginning of each round there are 20 teams that compete against each other. Each team starts without equipment, weapons and ammunition, but can find it in the level. While players compete against each other, the playing field constantly shrinks. When a player is eliminated, a team member can take his flag to a "Spawn Beacon" to bring this player back to life. Realistic Racing game with BMW M3 on the Nurburg Ring GP-track. Players take control of a professional edition of BMW. The car can be visually modified.